Virtual reality, or VR as it’s popularly known, creates a lot of excitement in gaming circles and among tech enthusiasts who are always looking for the latest and greatest connected toys. By placing an apparatus over the eyes and ears, the wearer is immersed into a virtual world that takes hold of these senses and enables them to experience any number of situations without so much as getting up from a chair. This technology is enabling people to go on far-off journeys from their living rooms, play video games as their very own avatars, and enjoy experiences that otherwise wouldn’t be possible or accessible to the average person. Though VR is still considered a novelty to most people, it has its practical and useful purposes as a training tool. Using this technology to enhance learning stimulations is now changing the way soldiers, surgeons, and other professionals perfect their skills. Doctors, surgeons, and other medical professionals have to take on some of the most rigorous training of any job. When a person’s health and life are in your hands, there’s not a lot of room for error. And yet the human body is incredibly complex and needs to be examined on a highly detailed level if medical intervention is to be successful. Virtual reality tools are giving researchers and medical students a new vantage point in looking at the human body. From surgical simulations to detailed examinations of intricate biological systems, virtual reality equipment and programs make it possible to study medicine in a more up-close and personal manner without any risk to a living patient. While tech is changing the defense in many ways, troops on the ground still need to know how to respond in all manner of situations, and VR may help. Virtual reality is enhancing military training capabilities by enabling soldiers to navigate a variety of combat situations through highly realistic digital simulations. One of the key advantages of this technology is the collaborative capabilities. Military personnel located across the country or even on the other side of the world can train together as teams and learn how to communicate without ever having to put on a tactical headset or connect to military radio equipment. That’s not to say virtual reality can replace actual real-world training experiences, but it can be highly effective for certain aspects of battlefield preparation. It also helps keep costs low. While training in real exercises often requires actual defensive and military communication equipment from www.CJComponents.com, personnel transport, and other resources, a virtual setup requires far less expense. It also makes it easier to train in battlefield situations that can be hard to fake in the physical world, as is the case with urban warfare. 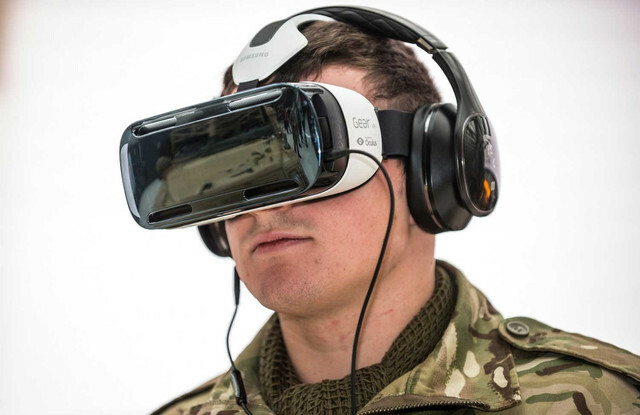 Virtual reality can be a real asset for helping less experienced members of the armed forces get a sense of what to expect in a simulated but fully immersive environment. These are just two examples of how virtual reality is shaping training resources; there are many other professions that have put the technology to use in such practical and productive manners. Maybe your next job will have you donning a VR mask to improve your abilities.